In 2017 we further strengthened our partnership with the Adelaide Crows working closely with the Crows Event and Marketing team to produce a memorable fan experience. 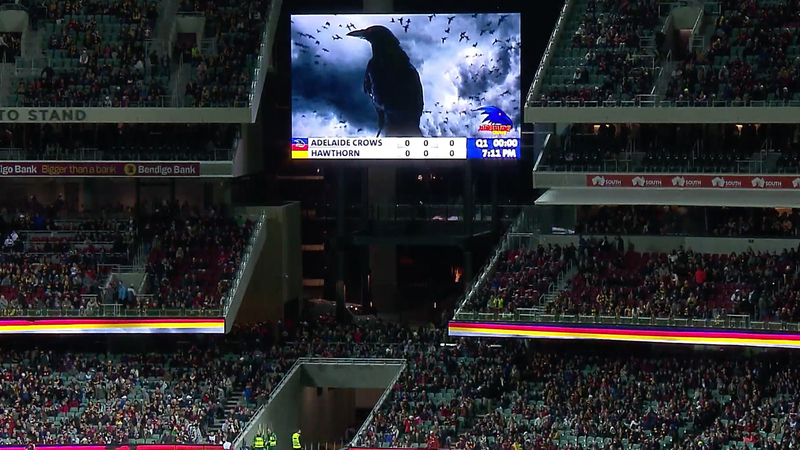 Our creative team produced a range of LED and Vision screen assets that extended the ‘We Fly As One’ brand into the Adelaide Oval, ensuring Crows fans had a consistent brand experience no matter where they were. Our match day team, week in and week out, further enhanced the game day experience for Crows fans ensuring everything from the team entry to the half time activations was developed and called to perfection. From watching the TVC, booking tickets online, through to celebrating some Eddie Betts magic, Adelaide Crows fans now enjoy one of the most engaging brand and fan experiences in the AFL. With our dedicated on-site production team at Adelaide Oval, we’re able to seamlessly operate game day production right in the middle of the action. It allows us to maximise commercial opportunities for the Club and brands through strategy, production and flexible integration. Sequi is KOJO’s social media aggregation tool, used on game days by the Adelaide Crows to showcase Crows fans social posts live on the big screen at Adelaide Oval. Working together with the Crows Commercial and Event teams, we’re able to provide a service to commercial partners to help leverage and maximise their game day sponsorship. Our team created content for LED and Vision Screen signage and developed live activations such as China Southern’s ‘Race The Plane’ to help bring recognition and recall for the brand. Our unique understanding of sport and fan engagement, allows us to strategically develop and produce ideas that captivate large stadium and broadcast audiences for maximum brand exposure.